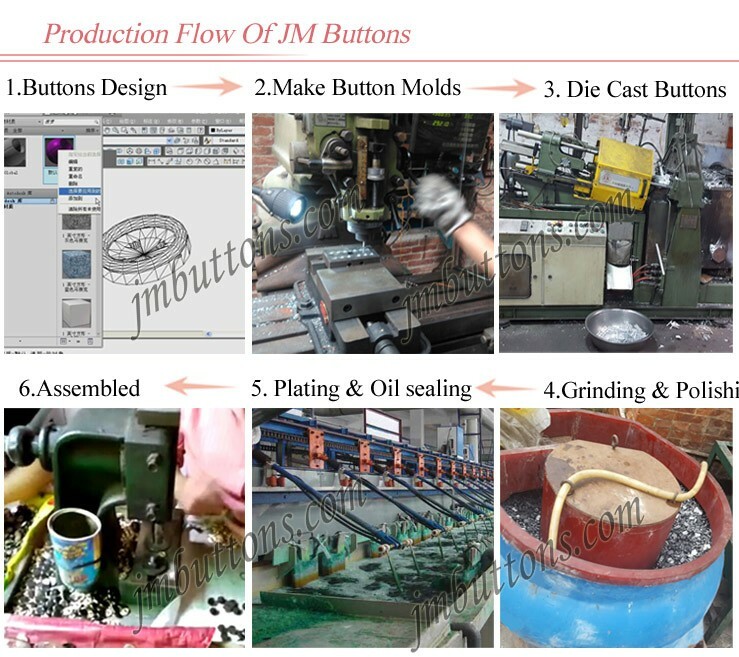 Hi, Welcome toJM Buttons'metal buttons factory. We are the metal buttons manufacturer in China, we provide botton wholesale, including: Jeans button, Shank buttons, Snap button and other hardware, such as rivet, metal label and so on. We began as a family business since 1997. 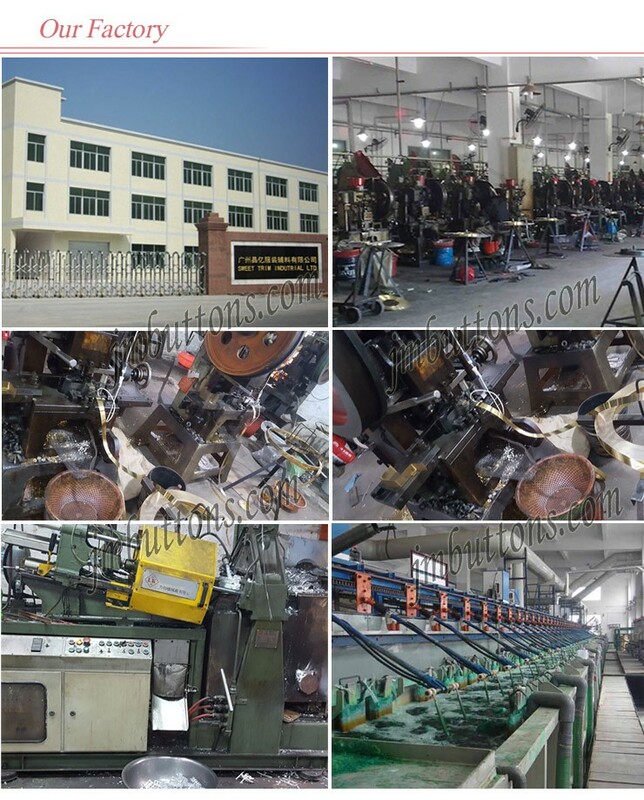 Now, Our buttons factory have 12 Zinc alloy die casting machines and automatic plating production line. Daily output has reached 100000PCS. 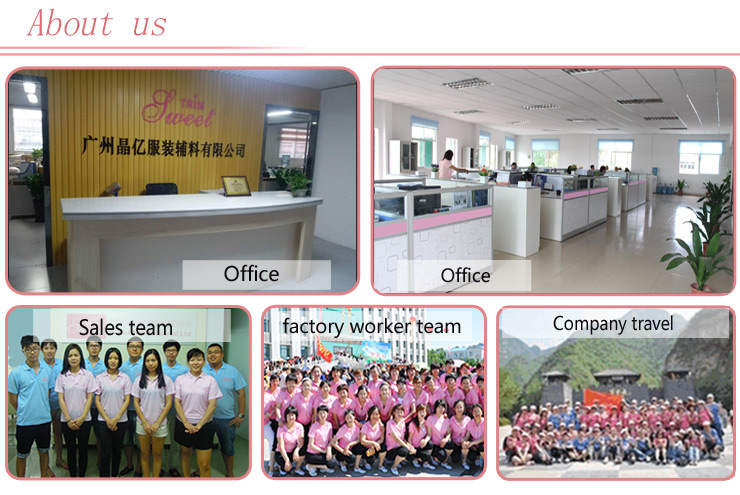 we have a professional pre-sales, after-sales team sincerely at your service in Guangzhou Office! Purchase direct from us, your costs will be cuted 30 to 50%. 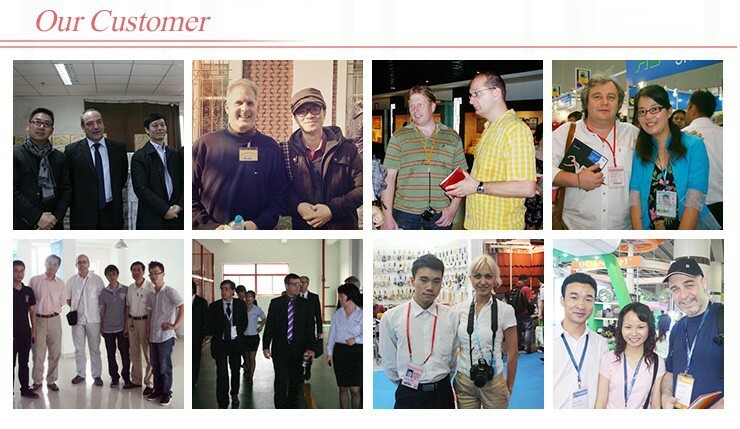 In addition, any buttons you like, just tell us, we will sent you free samples if we have stock. If you do not find your favorite buttons or any hardware products. Just tell us the details of your requirements. Such as the logo, size, color, style you like and so on. The best way is sent us your favorite products pictures. We will offer the free design for you. The first step is design of buttons: This was done by JMBUTTONS design team on the basis of customer requirements. The second step is make button molds: Our master workers will use the mold machines to make the button molds according to the computer mold. The third step is die casting buttons or other hardware: Our workers will use the die casting machines to produce blank products. The fourth step is grinding and polishing. All metal buttonsand hardware products need to rely on grinding, polishing can achieve beautiful and useful. The fifth step is Plating and Oil sealing. We use the technology of highlight barrel plating, or directly use rock plating to make shinier buttons. And every buttons will be sealed oil to ensure it won't fade for long time. So you will not buy any junk product from us. Sometimes, This step is completed in front of the plating and oil sealing, to ensure that the face of button and the bottom of button in same color, And avoid the face of buttons to be scratches in assembly process.